Muhammad Ali and Joe Frazier as a combo are known as the greatest rivalry in the history of boxing. 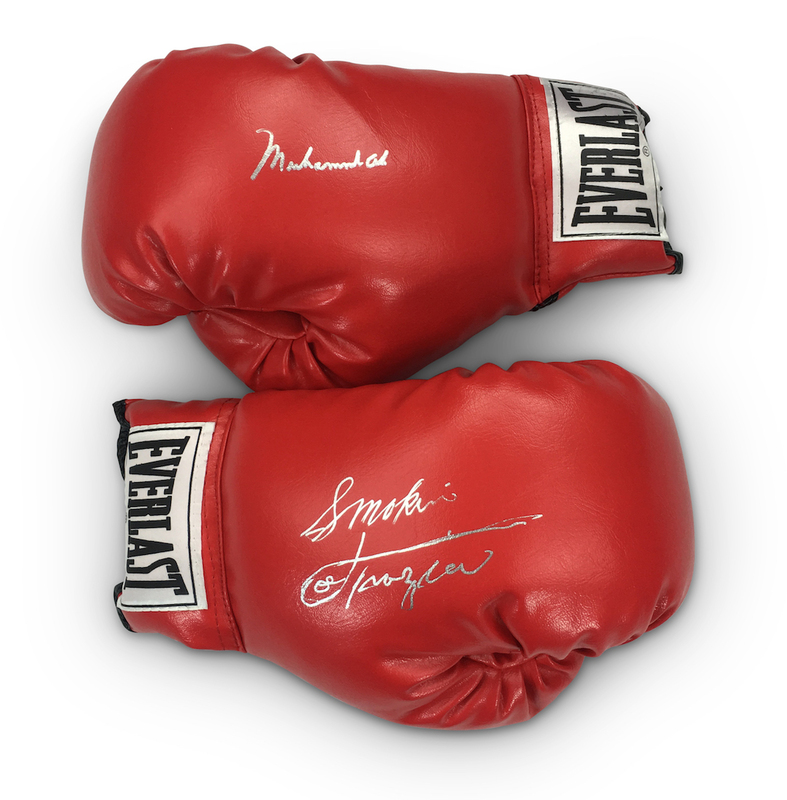 Presented is a Muhammad Ali & Joe Frazier Signed Pair of Everlast Boxing Gloves accompanied by a LOA from JSA and Grey Flannel Auctions. Both gloves are signed in silver paint pen.